Have you set your business goals for the New Year? If so, have you written them down and already forgotten them? It’s a natural state of affairs to write down goals before the New Year and then forget all about them by the end of January once events take over! Specific – goals must be defined and not vague. Measurable – they should be measurable so that you can monitor progress. If it’s not measurable, it’s not a goal. 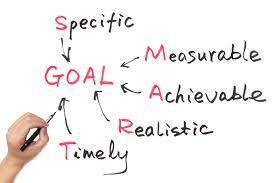 Achievable – goals should be achievable since there is no point in setting goals that cannot be reasonably achieved. Realistic – they should be realistic, i.e. is it realistic to double profits in 1 year? Timely – goals should be set within a reasonable time frame otherwise the momentum and the reason for the goal is forgotten. As with all business goals, you should come up with a written action plan. Work out what resources are required in terms of manpower and funding, external advice or help that is required and what obstacles maybe in the way of achieving each goal. Once you work these out, put a time frame to each goal and start to execute the action plan. It’s only when you plan and set goals in this manner that you can start to be successful in achieving them. A final piece of advice – do have a plan B. If you start hitting unforeseen obstacles or events, you can start changing how you go about achieving those goals. ← Will governments impose a Wealth Tax as suggested by the IMF?